Sail out of Miami on the MSC Seaside, one of the newest ships, for a 7-night Western or Eastern Caribbean cruise. MSC Seaside rewrites the rule book of cruise ship design, blending indoor and outdoor areas to connect you with the sea like never before. Circling the entire ship as low as Deck 8 is a unique seafront promenade lined with places to eat, drink, shop, swim and sunbathe. And you can enjoy more superb views from the two-deck glass-walled atrium and panoramic elevators. An interior Stateroom on the MSC Seaside through Vacationwiser.com®, costs as low as $98 bi-weekly for two people based on double occupancy and destination. MSC Seaside offers endless fun for the whole family, with a full-sized bowling alley, a dedicated kids only restaurant, and the most interactive, multi-story water park at sea featuring four different water slides, an AquaPlay™ area designed for tots and an adventure trail. In addition, MSC Seaside boasts colorful kids’ play areas created in partnership with LEGO® and Chicco®. On MSC Seaside, you can enjoy the spectacular ocean views while you eat. And with nine delightful eateries to choose from, including five sophisticated specialty restaurants, dining on MSC Seaside is as varied as it is delicious. Families are superbly catered for, and there’s even a dedicated "kids only" buffet. For the perfect pre-dinner aperitif, late night drink or daytime refreshment, there is a choice of twenty smart bars and lounges, each with its own unique atmosphere. 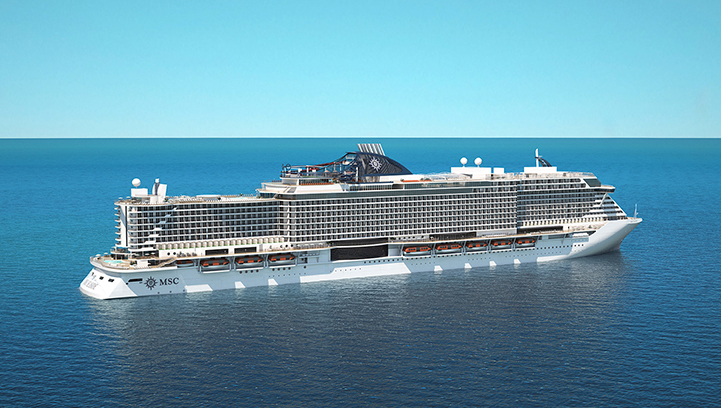 Joining the MSC Seaside in the Caribbean in 2019 is the MSC Armonia. The MSC Armonia is a smaller more intimate ship that offers all the amenities of the larger ships. MSC Armonia contains 976 stateroom on 13 decks compared to the MSC Seaside with 2,076 staterooms on 19 decks. MSC Armonia features 4 restaurants, 7 bars and lounges, Palm Beach Casino, Teatro La Fenise, Starlight Disco, 2 pools, mini-golf, sports center, spa and more. The MSC Armonia has the same distinct Mediterranean flare for which MSC is famous. 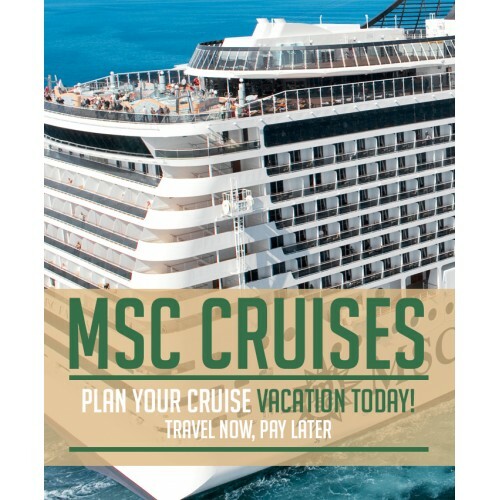 How Vacationwiser® Makes MSC Cruises So Affordable! Have you been dreaming about going on a cruise but don't think you have the means to do so? This MSC dream cruise is more affordable than you think with. Vacationwiser® offers easy payment options via payroll deduction and 12 months' interest free, or use the option to save in advance with our travel savings plan. With our travel savings plan, you can begin paying towards your credit approval. The amount you pay can be combined with your credit approval to allow you to purchase a larger vacation or it can be deducted from the cost of the trip so that your balance is less. Call us at 800-358-2883 to inquire more about our travel savings plan. So why settle for a staycation when you can cruise affordably? Call 800-358-2883 today or fill out the cruise request form below and get ready to sail into the sunset! As low as $98 Inside / $107 Ocean View biweekly per CABIN (double occupancy).